And whaddya know? It IS Friday! I dropped my favourite child off at the Breton Bestie’s house this morning. (Fine, she’s my only child, but let’s not digress). BB has been bribing her with breakfast all week – today it was pancakes. My fluffy American pancakes are just not as good as the bestie’s crepes, probably more so because the supply is going to dry up in ten days’ time when they expat their way back to France. The expat life giveth some good stuff, and taketh some good stuff. The hammer has taken a while to fall – my husband jokes that I “think slowly“ and it’s true. Usually because I’m denial. But today I couldn’t deny that it would be the last time for a little while that I’d be hugging the BB’s seven-year-old son, since he’s off to France later today, in advance of the others. But I’m still in denial that next weekend I’ll be saying good-bye to one of the bestest friends I’ve ever had. We had dinner and cocktails last weekend and had a good giggle, which was bittersweet, because it was just a reminder of what’s being taken away. A part of me realises this is completely ridiculous; she’s moving back to Paris, which is a 2.5 hour train ride away. Not the end of the earth by any stretch of the imagination. But for two years, she’s been at the other end of my road. 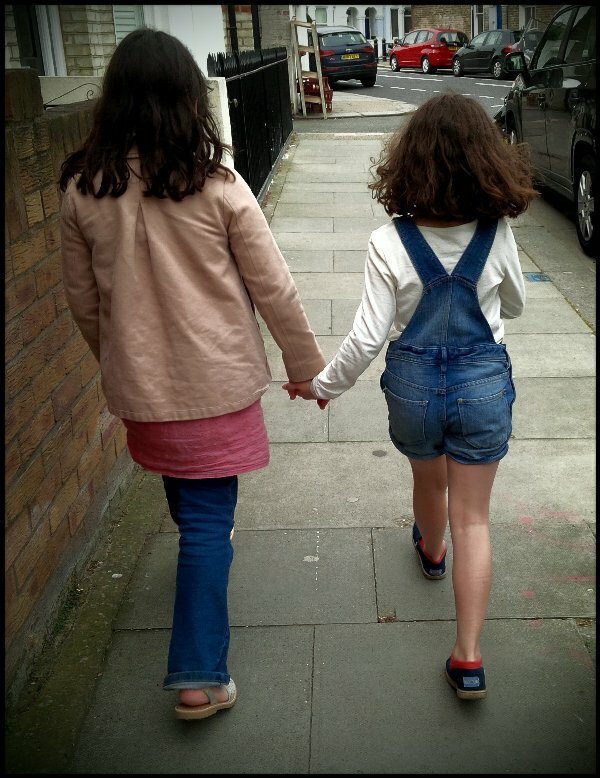 Our daughters have more often than not had their heads bent together, gossiping and giggling. Yes, the grief is compounded because my daughter is losing HER Breton Bestie. I have a feeling DD and I are going to be clutching each other and howling over pints of ice-cream in ten days. I’m going to focus on the amazing reports the girls have brought home, and the fact that they’re getting awards (which they know nothing about) on Tuesday. I’ll save the tears for then. Now pass me that ice-cream!! Yeah, now I’m worried I’m not cramming in enough! Totally ridiculous! I can relate. Its hard losing friends to distance…even though you can still communicate with each other and probably visit, it’s not the same as having them close by. I know it will be hard. It sounds like you have made some wonderful memories together and the bond will continue. Been there too many times 😦 But the positive spin being you now have friends to visit in France! We try to make a point of visiting (when reasonable of course) at least one friend per year that have moved (or go back to where we have lived to see those we left) to show the kids that they are still our friends no matter where we all live!